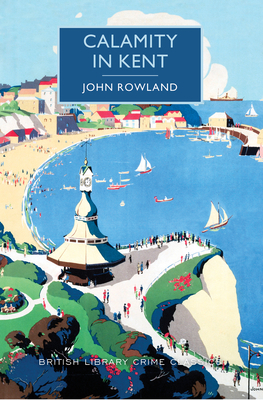 In the peaceful seaside town of Broadgate, an impossible crime occurs. The operator of the cliff railway locks the empty carriage one evening; when he returns to work next morning, a dead body is locked inside--a man who has been stabbed in the back. Jimmy London, a newspaper reporter, is first on the scene. He is quick on the trail for clues--and agrees to pool his knowledge with Inspector Shelley of Scotland Yard, who is holidaying in the area. Mistrustful of the plodding local policeman, Inspector Beech, the two men launch their own investigation into the most baffling locked-room mystery--a case that could reignite Jimmy's flagging career, but one that exposes him to great danger. JOHN ROWLAND (1907-1984) was a publisher, journalist, civil servant, and Unitarian minister whose detective novels have long been neglected.